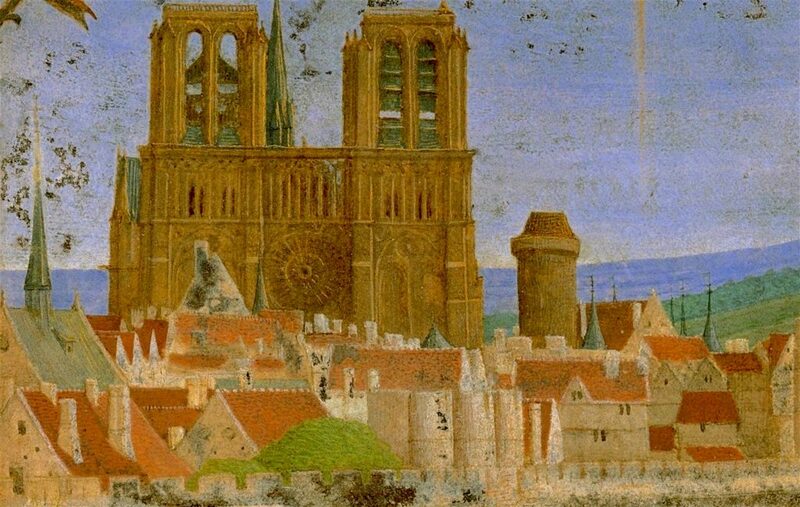 A detail from a 15th-century medieval miniature by Jean Fouquet, showing Notre-Dame Cathedral and the Ile de la Cité. But Haussmann and Napoleon didn’t move to entirely eradicate the medieval city: luckily, many stunning sites and places from the Middle Ages remain intact for visitors and history buffs to enjoy. Read on to see 5 of the most enigmatic, beautiful and historically important of these. Once in town, you can even embark on a self-guided walking tour by following the simple directions I lay out below. Like This? Pin & Share It! I estimate that the entire itinerary (including longer visits to the Conciergerie, Sainte-Chapelle and Musée Cluny) will take between 4-5 hours. You may wish to break up the visits with lunch, if you set out sometime in the morning. Attempting the entire tour in the afternoon could prove challenging, since most Parisian museums and monuments close at around 5:30 pm. Still, it’s possible if you choose to visit only one paid attraction, or choose four out of five of the suggested stops. To purchase tickets for sites on the tour in advance (and thus avoid the annoyance of spending your time waiting in long lines), see my suggestions below for relevant stops. 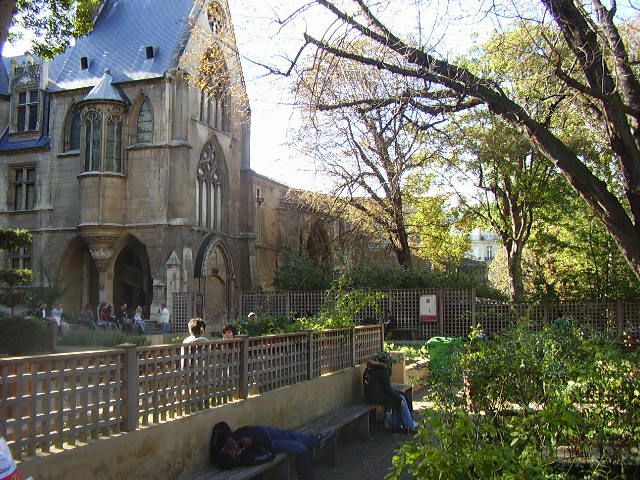 This self guided-tour starts in the Marais district on the right bank, between Metro St: Paul and Pont Marie. Get off at either stop and walk the short distance to our first landmark, the Hôtel de Sens. The Hotel de Sens is one of Paris’ only remaining medieval-era mansions, or “hotels particuliers”. Image: Courtney Traub/All rights reserved. This little-known mansion, now the site of the Fourney arts library, is one of the only remaining medieval hotel particuliers in the city. While the elegant edifice you see today was in fact completely rebuilt and renovated by the city of Paris in the 1930s, the high-gothic and Renaissance building has stood here since the late 15th century. It was erected between 1475 and 1519 by the Archbishop of Sens, Tristan Salazar, who aimed to build a residence that would symbolize the political power and wealth of the Parisian archbishops. It ended up housing numerous royal figures over the following couple of centuries, including Marguerite de Valois, also known as Queen Margot. After her marriage to King Henri IV was annuled, “La Reine Margot” occupied the mansion for less than a year in the early 17th century. But in that short time, rumors spread of her hosting debaucherous parties and orgies there. During the French Revolution of 1789, the Hotel de Sens was repossessed by the state. It subsequently served many purposes during the nineteenth century, alternately housing factories, private shops and workshops. Admire the harmonious formal gardens, main and back facades with their distinctive windows, defensive turrets, tower and delicate neo-gothic flourishes. 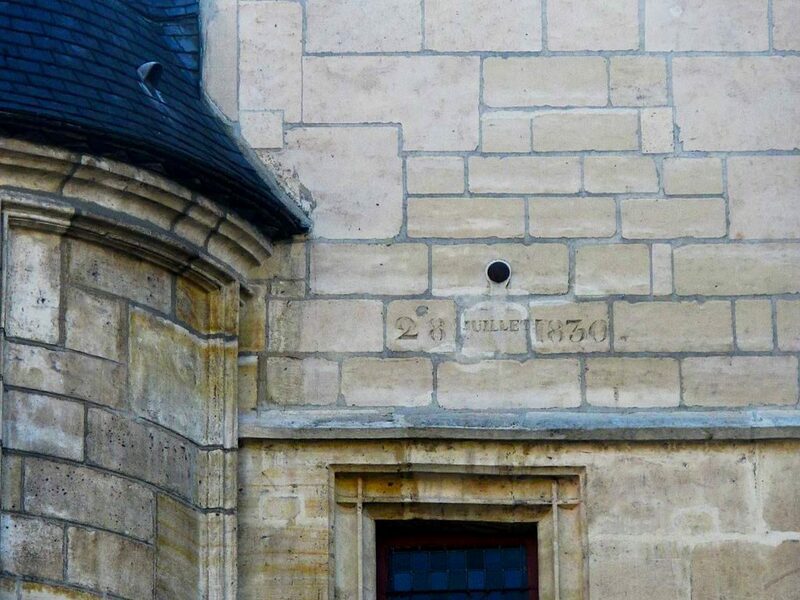 Then head around to the front entrance to witness where a cannonball hit a wall above the main door, during the 1830 conflict known as the “Trois Glorieuses”. Getting There: Hotel de Sens – 7 rue des Nonnains d’Hyeres (garden entrance and rear facade); 1 Rue du Figuier, 75004/4th arrondissement (library entrance); Metro: St. Paul or Pont Marie (Line 4 or 7). 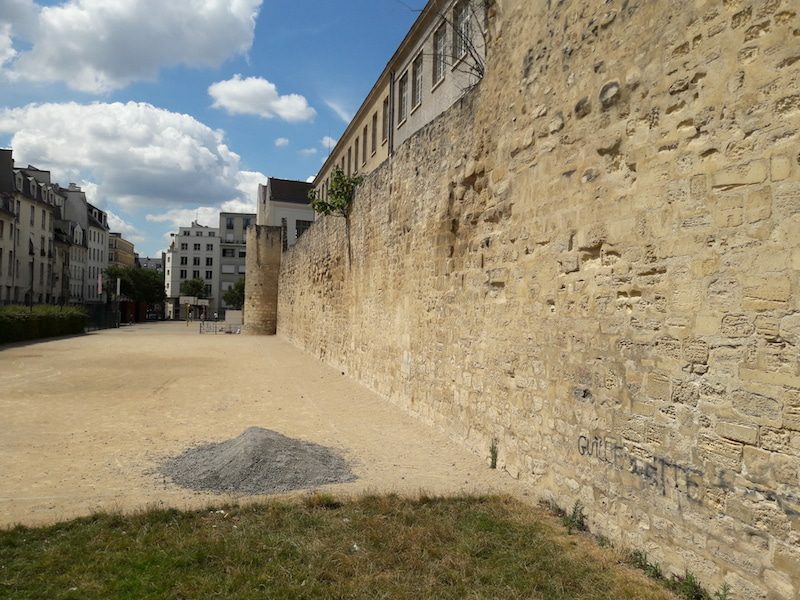 The next stop on your self guided tour takes you just a few blocks away, to see an unassuming wall that is in fact a remnant of the massive fortified wall that once surrounded (a much tinier) Paris. This is the largest surviving bit of the 12th-century fortifications built by King Philippe-Auguste to deter invaders and protect the city’s inhabitants. Well, certain among them, at least: the King expelled and summarily banned Jews and other populations judged to be “undesirable”. Interestingly, this part of the wall, which lies in the outer Marais, sits at the border of the “pletzl”, the vibrant Jewish neighborhood that has thrived for many centuries. The wall, which was in part preserved because of the nunnery that once stood nearby, is now incorporated into the Lycée Charlemagne high school. You can often see students casually playing basketball on courts situated just next to it. Getting There: From the Hotel de Sens, it’s just a couple short blocks to the Rue des Jardins Saint-Paul (75004/4th arrondissement). 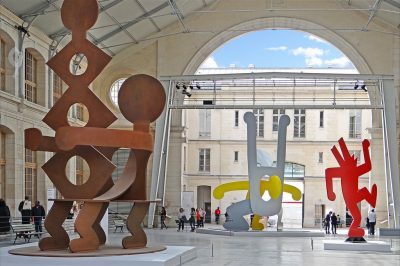 Walking there should take no more than 5 minutes at most, with the aid of your Paris area map (4th arrondissement page) or maps app on your phone. If you have a bit of extra time, peek into the the Village St-Paul, a series of interconnected courtyards just to the right of the old wall. 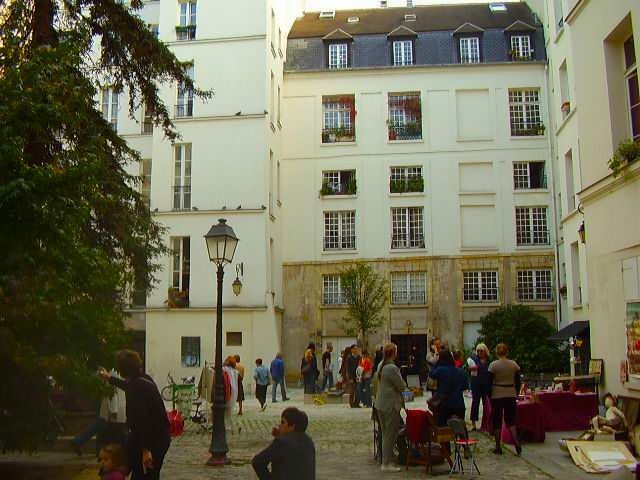 Having served as a nunnery and later a royal residence during the Middle Ages, it’s now a favorite spot for weekend antique shopping, and was a portal of sorts between the entrance to the walled city and the Marais beyond. 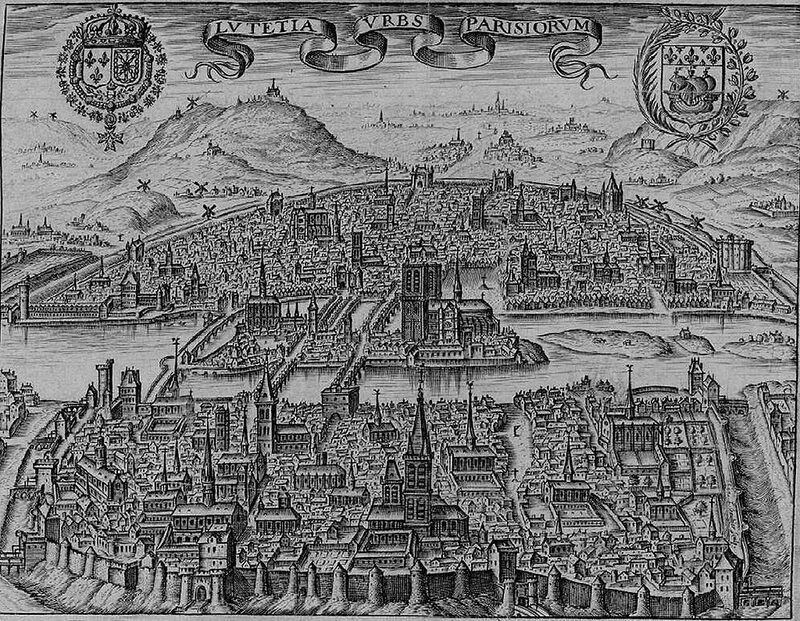 Paris circa 1600, with a fortified wall that was built under King Charles V in the 14th century. You can see the fortified wall that surrounded the city of Paris then, which was incredibly small compared to its present-day guise. Of course, if you want to learn more about the history of Parisian fortifications, a visit to the medieval foundations of the Louvre is in order. This is a fascinating way to understand how much Paris has evolved, topograpically and architecturally, since the Middle Ages. 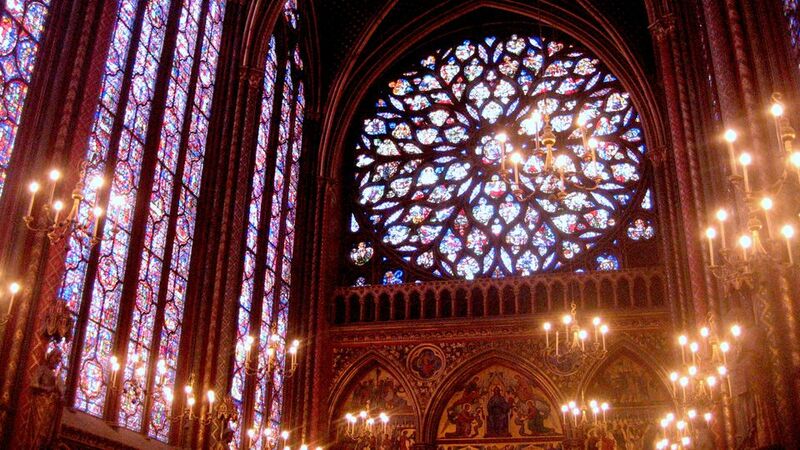 The Sainte-Chapelle is a true medieval marvel; come here to witness some of Europe’s most breathtaking stained glass. Image: Courtney Traub/All rights reserved. 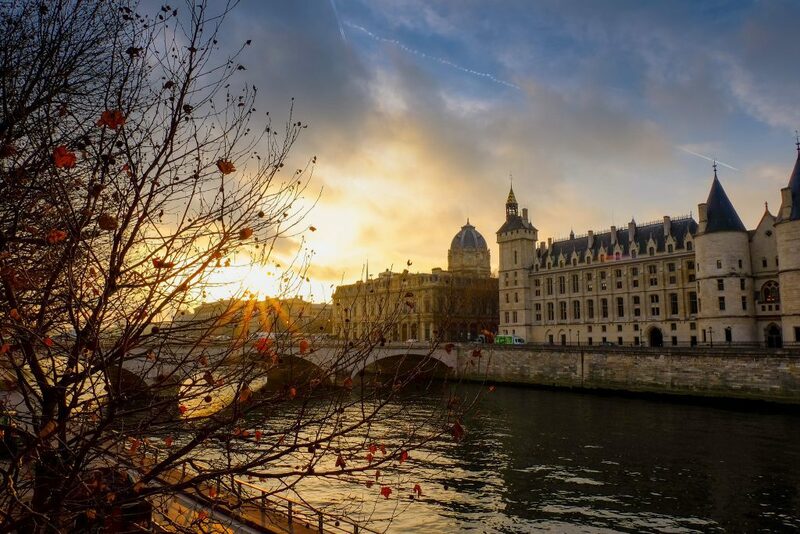 The next stop is the Conciergerie and Sainte-Chapelle, two of the most important and intriguing medieval sites in the city– and they happen to occupy the same sprawling complex on the Ile de la Cité. Getting There: 2 Boulevard du Palais, 75001/1st arrondissement; Metro: Cité or Chatelet-les-Halles. If you feel like walking, it’s only a 15-20 minute walk from the last stop and this one. Otherwise, the easiest way to get there is to walk to metro Chatelet-les-Halles and take line 4 to the Cité stop. Situated right on the Seine at the “gateway” to the old Ile de la Cité, the Conciergerie often gets overlooked by tourists, who aren’t quite sure what its purpose is. They frequently beeline to the adjoining Sainte-Chapelle without realizing that they’ve missed out on one of the most interesting places in the city, right next door. The site of a royal palace during the Merovingian period (10th to 14th century,) the buildings that originally stood here were collectively known as the “Palais de la Cité”. King Philippe IV built the facade we now see today, in addition to the grandiose Hall of the Guards inside. It was under Charles V that the medieval palace was deserted in favor of the Louvre as the new seat of royal power, and in the late 14th century the Conciergerie was converted into a prison, chancellery and seat of the French Parliament. Its more sinister history starts here. Poorer prisoners (civilians and political prisoners alike) were held in oubliettes, rat-infested, dark cells where conditions were worse than squalid. Many died of plague during the Black Death that swept across Europe during the 14th century. During the revolutionary period, the Conciergerie was an important site for “The Reign of Terror”: some 2,700 prisoners were held here before being summarily executed by guillotine. Conditions for most prisoners were appalling; many died of wasting and disease. 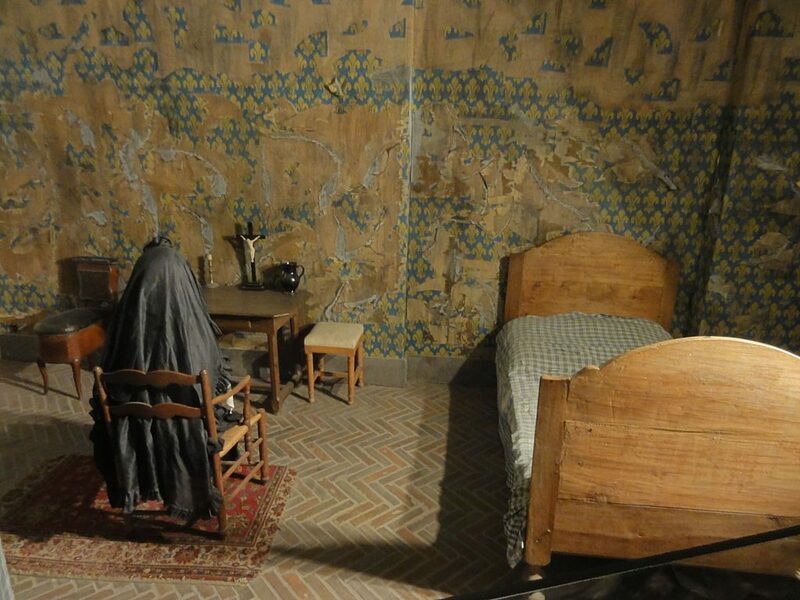 It was here that Queen Marie Antoinette was held in a (comparatively lavish) cell as she awaited her execution, and even Robespierre, an author of the terror, was briefly detained at the Conciergerie before being sent himself to the guillotine. Visitors can see a room (not the original site of her cell, however), that replicates the place where the Queen was detained for a few weeks, her health rapidly deteriorating. There’s also a chapel dedicated to her memory. 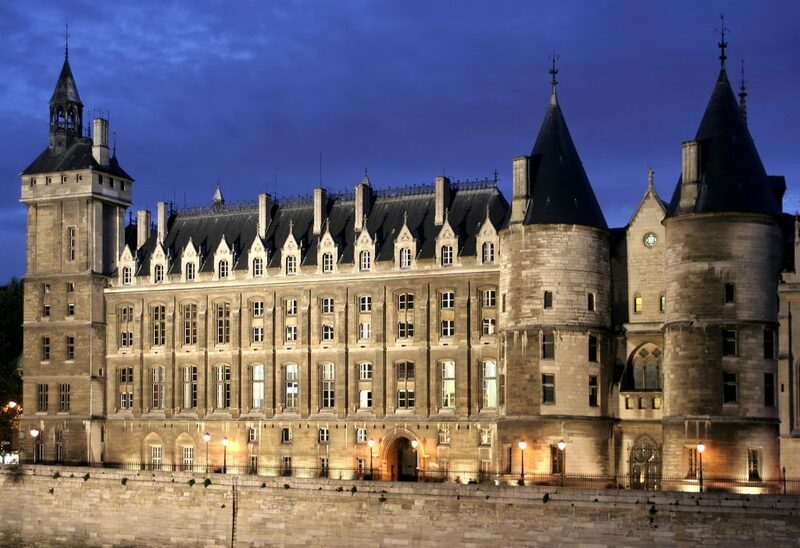 Today, the Conciergerie serves as an important place of law and order, with the adjoining Palace of Justice housing a Grand Tribunal. After visiting the Conciergerie and reveling in its dark history, you’ll likely need a little lightening up. 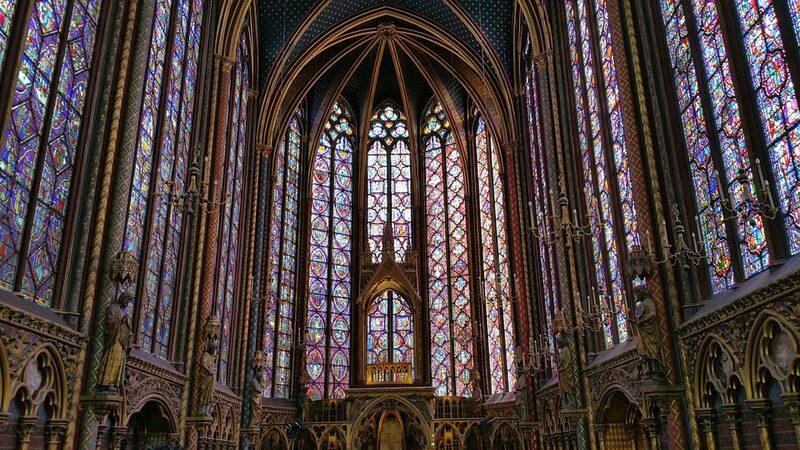 Head over to the Sainte-Chapelle next door to be literally bathed in light. Built by King Louis IX as a sacred chapel housing relics from the crucifixion, Sainte-Chapelle was consecrated in 1248. It’s widely considered to be one of the most beautiful examples of “Rayonnant” Gothic architecture in the French style– “rayonnant” referring to the way its high beams offer a sense of dramatic verticality and weightlessness. By constructing the chapel, the King was able to move seamlessly between his place of residence at the Palais de la Cité, and one of the main seats of religious authority and ceremony in Paris at this time. The Sainte-Chapelle’s remarkable stained glass– comprising over 1,100 individual panels that tell countless Biblical stories– are among the most precious and extensive in Europe. They were restored to their full glory in 2015. It took a full seven years to restore the delicate, fragile panels. 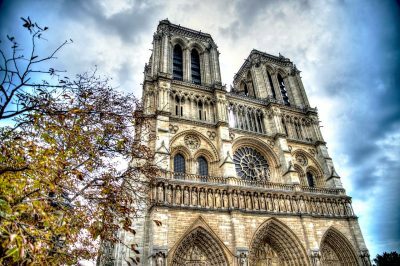 (Side note & travel tip: Visiting Notre-Dame Cathedral only a few blocks away is also essential for anyone wishing to appreciate the colossal achievements of France’s high Gothic period. Since it’s such a renowned and obvious site, I chose not to include it on this itinerary– but you can certainly add it, especially if you opt not to see all the places I suggest here). Revel in the light filtering through the stained glass and the harmonious, dramatic architectural elements visible in the upper and lower chapels and the transept. While the collection of relics that were originally held here– including Christ’s Crown of Thorns– were dispersed during the Revolution of 1789 and some moved to Notre-Dame, the history of the Sainte-Chapelle as a holy reliquary is still visible in its elaborate decor and rich biblical visual references. For practical information, current ticket prices, visiting hours and more, visit the official website for both sites. 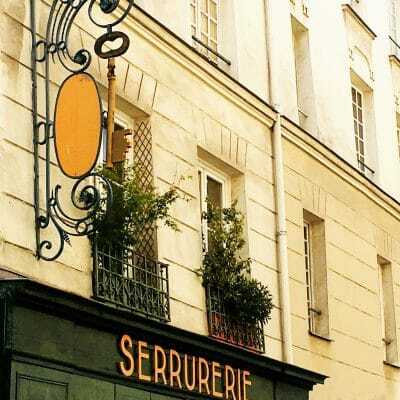 Perhaps following a lunch, tea or coffee break on the Ile de la Cité or in the Saint-Michel district across the river, it’s time to head over to the Saint-Germain district for leg #4 of your self-guided tour. While this neighborhood has primarily gained fame in the modern era for being the preferred stomping grounds of writers and intellectuals from Simone de Beauvoir to James Baldwin, its medieval history centers around its magnificent Abbey and church. Getting There: Place Saint-Germain-des-Prés, Metro Saint-Germain-des-Prés (Line 4), 75006/6th arrondissement. You can either walk from the Sainte-Chapelle (15 minutes) or walk across the river to Saint-Michel and take Metro line 4 to St-Germain (2 stops). Walking the whole way may be easier, and allow for a break along the way. With a history stretching back to the 6th century, the Abbey and church make Notre Dame (11th century) and Sainte-Chapelle (13th) seem like recent additions. The Abbey at Saint-Germain was founded by Childebert, son of King Clovis I, and served as a royal burial ground during the Merovingian period. 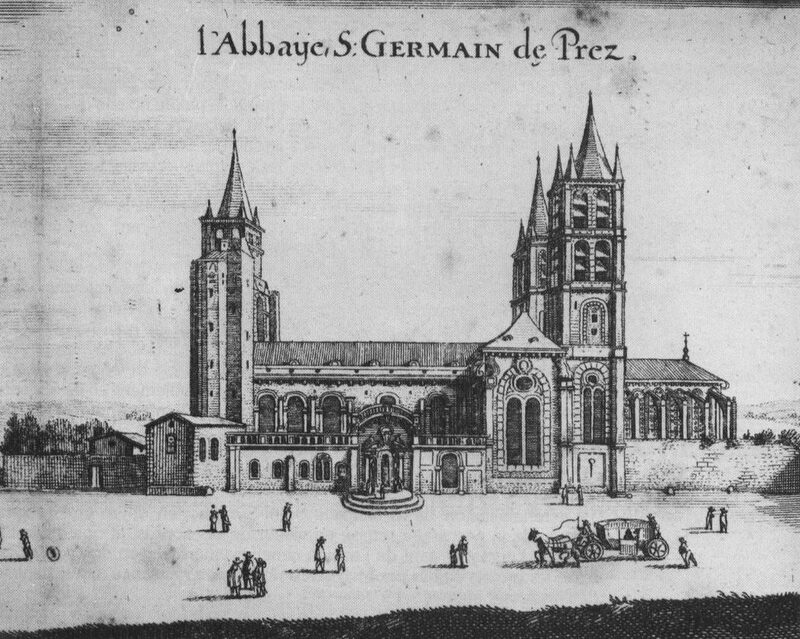 For centuries, the Abbey was among the richest in France, owing largely to royal patronage. It also served as a powerful seat of intellectual and scholarly activity, housing a large scriptorium where monastic scribes authored, illuminated and copied manuscripts. 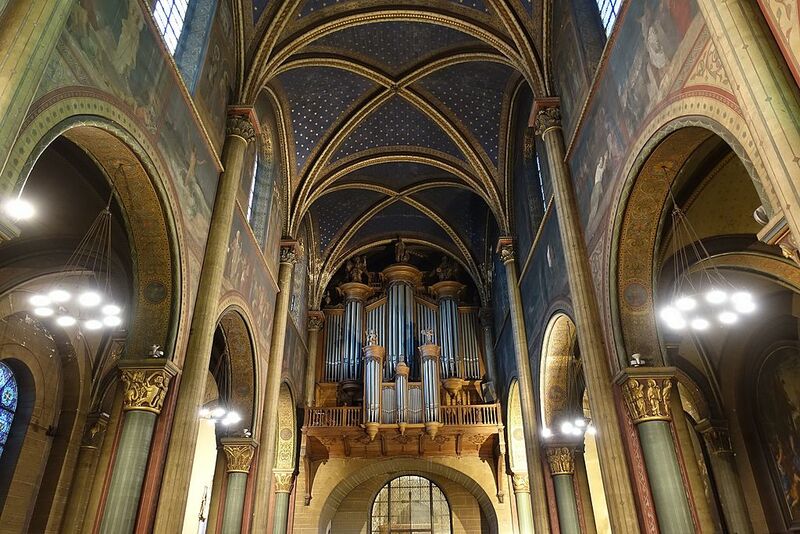 From the 12th century, it was associated with the Sorbonne, the medieval University of Paris, whose present-day buildings still stand less than a mile away at metro Cluny-la-Sorbonne (this is another extra stop on the itinerary, if desired). 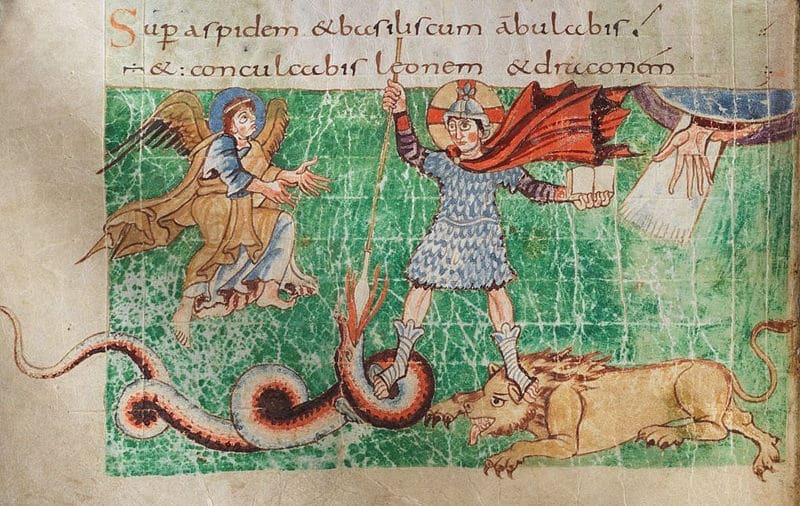 An image from the Stuttgart Psalter, a famous Carolingian manuscript dating to about 820 and widely believed to have been produced at the Scriptorium at St-Germain. Charlemagne may have commissioned it. The Church that stands here mixes Roman, Gothic and classical elements; owing to various upheavals and attacks over the centuries it has been rebuilt and remodeled numerous times. Sadly, during the French Revolution the library and numerous manuscripts were destroyed in a fire, and many of the original statues were pillaged or removed. In addition to holding the tombs of numerous French monarchs of the early medieval period, it also (rather curiously) houses the remains of Rene Descartes, the French philosopher famed for his assertion “I think, therefore I am”. 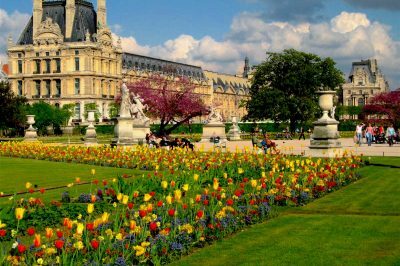 The last and final stop on this self-directed whirl through medieval Paris is situated right in the middle of the Latin Quarter. The Hotel de Cluny– by now you’ll have gathered that this term refers to a grand residence rather than a place for tourists to hang their hats– and its National Medieval Museum are a wonderful way to end your tour. Getting There: 6 Place Paul Painlevé, 75005/5th arrondissement; Metro Cluny-Sorbonne or St-Michel. You can either walk (less than 15 minutes) from the Abbey at St-Germain, or take metro line 4 to St-Michel, then walk (5 minutes). This gorgeous hotel particulier was built in around 1334, and originally housed the Abbots of Cluny, a powerful religious order. Rebuilt in the 15th and 16th centuries, its current-day facade boasts both Gothic and Renaissance architectural elements. It was built on the site of Roman-era thermal baths, parts of which an be visited inside the museum and viewed from outside, on Boulevard St-Michel. In addition to the Abbots of Cluny, the Hotel also housed many royal figures over the centuries, among them Mary Tudor, the sister of English King Henry VIII. 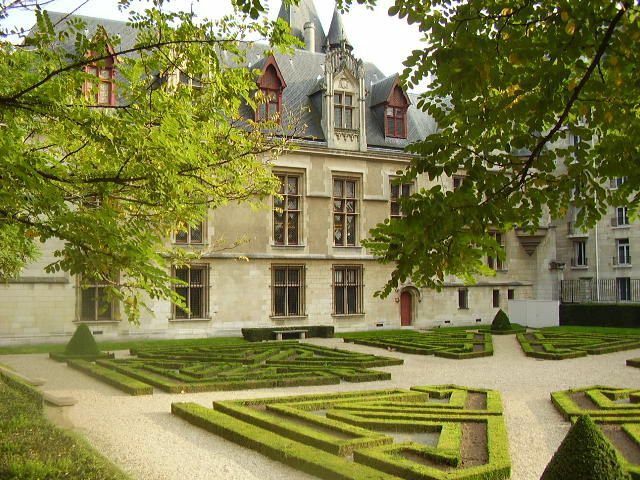 She lived here for a time in 1515, following the death of her husband Louis XII. In 1843, the site was transformed into a public museum, filled with a collection comprised of French medieval treasures from paintings, stained glass and tapestries to manuscripts and objects of daily life. 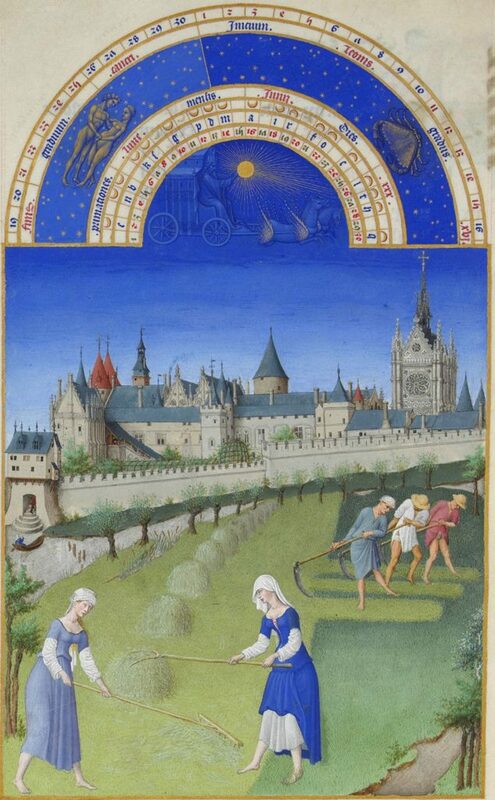 The aromatic garden is modelled after medicinal gardens of the Middle Ages. This museum is well worth an hour or two, especially for anyone interested in the art and social history of France during the Middle Ages. 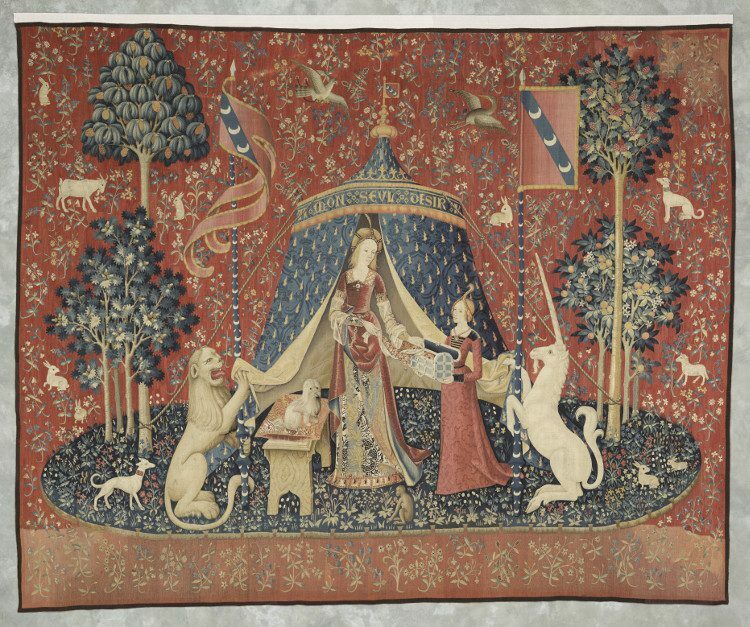 As I have repeatedly raved about elsewhere on this site, its monumental series of Flanders tapestries, “La Dame a la Licorne” merit the entry price on their own. Manuscripts, stained glass, artworks, sculptures and objects from daily life make up the rest of the collection, and are also fascinating. If you enjoyed this tour (virtually or in person), you may also be interested in this fascinating 3D animated video that simulates the many transformations of Paris across the ages. 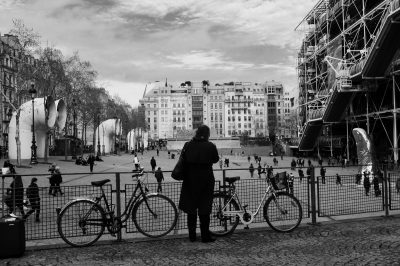 Finally, if you’re headed to Paris this year or beyond, make sure to start planning your trip well in advance. See my full guide on when to visit, and learn why the city is still safe despite belief to the contrary among some. You can also search for discounts on flights well in advance (via Skyscanner) and snag deals on train tickets (at Rail Europe). Can’t tell you how many times I have taken friends to la Sainte Chapelle and never even realised the Conciergerie was there or what it was. Thanks for the advice. Definitely on my list for next time.